One raw November evening just days after the 2016 election I stood with my husband and three kids in the crowded waiting area of our local Middle Eastern restaurant. As I inhaled the pungent, garlicky aroma that would later cling to our clothes and hair, I looked around the packed room. Virtually everyone, save for me and some of the wait staff, was Caucasian. Diners were greedily tearing into the fresh, warm bread and dipping pieces into plates of thick, creamy hummus. As the daughter of Egyptian immigrants, I remember a time when hummus was still largely unknown in America. Now, it’s a restaurant delicacy and a grocery store staple, welcomed into homes across the country. Did you know that hummus is now the official dip of the NFL? But what has not changed (at least not for the better) is the way many Americans perceive the people and the culture from which hummus originates. In the wake of a national election that stirred up a new wave of anti-Arab sentiment, this is now impossible to ignore. When I was a child, my parents prepared hummus by the vat at home. But let’s just say the humble spread — made from cooked and smashed chickpeas, tahini, olive oil, garlic, and lemon juice — was not exactly a familiar sight or smell in my elementary school cafeteria in suburban Detroit. By the time I finished college, hummus had graduated to the mainstream, thanks in large part to companies like Sabra, which convinced Americans that hummus was new (ha! ), healthy, and just ethnic enough without being too weird. Today, I can count 14 varieties of prepared, packaged hummus in my suburban Midwestern grocery store. And hummus sales in this country are skyrocketing — up from $5 million annually 20 years ago to more than $700 million per year in 2016. Unfortunately, hate crimes against Arabs and Muslims are also on the rise — up by a whopping 67% last year. As I waited for our table that night, I thought back to the time a co-worker raved about the baklava I brought in, made from an old family recipe. Later, he referred to Arabs as “dirty towel heads” on my Facebook page. I thought about the day my oldest son, who was just eight at the time, asked me what a “terrorist” was after a neighbor told him that’s what Arabs are. I remembered the terrified look in my daughter’s eyes the day after the election, when she asked how her “Gido” (Arabic for “grandfather”) would get his wheelchair onto an airplane, after a fellow second grader told her everyone from the Middle East would be sent back. I wondered how many of those kids had hummus in their lunch boxes. Out of habit, I fidgeted with the crucifix around my neck and thought about how many times I’ve been asked when I converted from Islam, and the incredulous look I inevitably receive each time I have to explain that Christianity actually originated in the Middle East. A waiter rushed by, delivering a plate of hummus to yet another table, and I felt sick to my stomach. I love this community, but it’s not exactly diverse. I’m one of the darkest people in it, and I’m barely beige. Donald Trump won Livingston County, Michigan, by a huge margin, and virtually every political office is held by Republicans. But the people here sure do love hummus. Please don’t misunderstand me. I’m not saying Americans shouldn’t embrace foods from other cultures. I’m just asking that you dip a little deeper (pun intended). Maybe then you’ll see what I see, and taste what I taste: A plate intended to be shared, its overflowing edges a testament to the hospitality and generosity of the hands that prepared it. 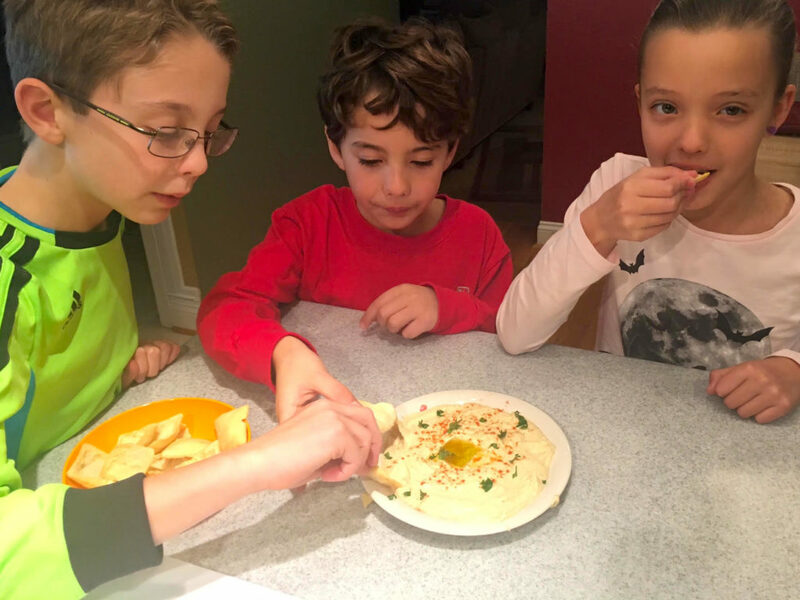 I share my family’s recipe for hummus here, in the hope that we might go beyond breaking bread and begin to break down barriers and stereotypes. Now that would be truly delicious. 1. 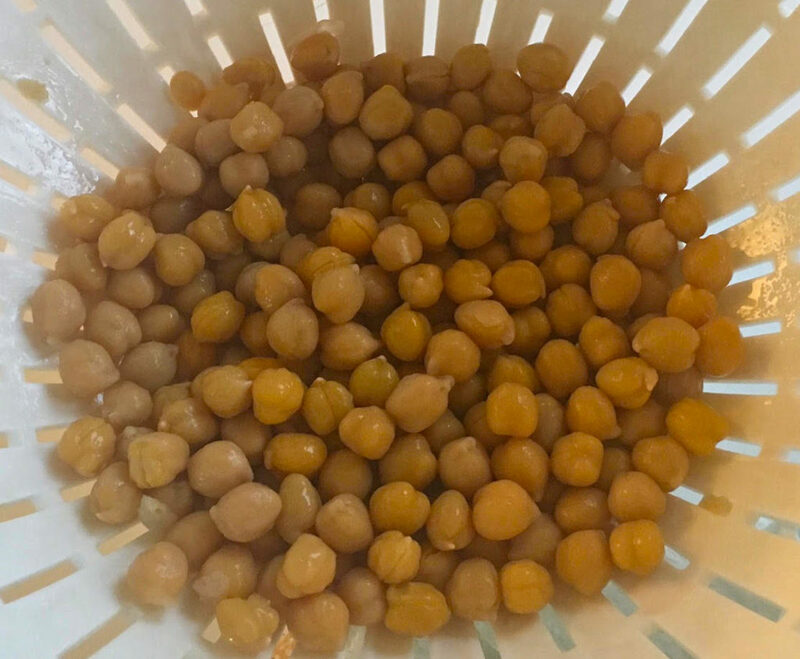 The day before you want to make the hummus, place the chickpeas in a large saucepan and add enough cold water to cover by about two inches. Add 1 tsp of baking soda and leave to soak overnight (uncovered), at room temperature. 2. The next day, drain and rinse the chickpeas, return them to the saucepan and cover with more water. Add the remaining 1 tsp baking soda, bring to a boil over high heat, then reduce the temperature to low and simmer for 1 to 2 hours — until the chickpeas are soft and shedding their skins. Drain and allow to cool. 3. Place the chickpeas in a food processor and blend until soft and creamy. Add the tahini, lemon juice, garlic, cumin, and salt and blend again until the mixture is smooth. Scoop onto a serving plate and make a well in the center. Pour the oil into the well and sprinkle paprika and parsley on top. 4. 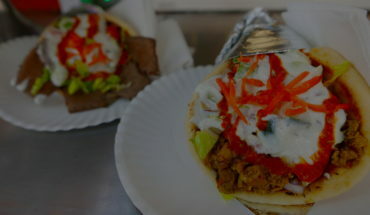 Serve with fresh pita and enjoy. This recipe yields 2 to 3 cups of hummus and serves 8 to 10 people as an appetizer. Great article. I have a daughter-in-law that is from Arabic heritage and she introduced us to hummus and I love them both. Love your writings, love your thoughts, love you. I live in the same county the author does. I suspect I know what restaurant she was at. I didn’t grow up in such a conservative county – we moved here 4 years ago, and like the author, we like it here. I am the opposite of conservative and as a white woman, I’ve often sat in what I believe is the only Middle Eastern restaurant in the area and gotten annoyed at the blindness of my fellow patrons. It smacks of hypocrisy. I’ve had similar feelings when I’ve been in one of the Mexican restaurants that appear to be owned and operated by Hispanic people. How can you scream for their deportation and then smile to their faces while they bring you food? Well written article, Ms Shand! I am a Jew who looks Asian and loves Arab food . I wish all the people of the world could love peace enough to make all the compromises necessary, but in the meantime we can choose our friends, and hope our neighbors calm down enough to notice that friendship is the basis of peace.